« Whom Will You Serve? Was this a little thing? 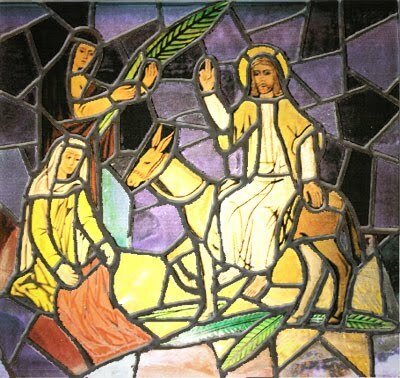 Laying down one’s cloak on the road for Jesus to be trampled underfoot, not only by Jesus on a donkey but also the disciples and who knows how many more were in the entourage. And then, if my imagination is anywhere close to accurate, usually a crowd swells in behind the leader in the parade. By the time someone might return to the road, after the crowds have dissipated, poor cloak might be in quite the disarray. In fact, it might be good for nothing, only a rag. I wonder, did their hope feel the same way when they realized that Jesus was not going to manifest as the Messiah in the way they thought he would? Did they look at those rags and begin to feel less enthusiastic, less sure. Perhaps the cloak was a gift from a friend or purchased with hard earned money. Would there be second thoughts? So often people get caught up in the crowd’s enthusiasm, only to find the aftermath less glorious. I can’t help but think of other more contemporary masses: remember Woodstock? In the wonder of all that freedom, people did all kinds of crazy things, like take off their clothes, roll in the mud, get blind stoned, and so forth. I wonder how that felt when the pictures came out. Or what about soccer stadiums where anger and fury drive fans onto the field and sometimes trampling people? Or New Years celebrations with fireworks and guns shooting off but unknowingly striking a child who dies? It happens all the time. The crowd. So often, in a kind of self-possessive way, I hear people say they don’t give money to the homeless because of what that person might do with it. After all, their money is what? Precious? Or, even worse, people who don’t give to the local church because they disagree with the use of the funds (like the color of the carpet or the size of the flowers on the altar). It’s kept back in the name of “stewardship.” But I am beginning to believe that attitude is like trying to retrieve the cloak laid down on the road on Palm Sunday. If we give, we give freely and trust God to use the gift. If I lay down my stuff, I am not to pick it up again. If I am acknowledging that Jesus is truly the Messiah, the King of Kings, the Lord of my life, then what is the cloak in comparison to that? Who is asking? Who is this Jesus?